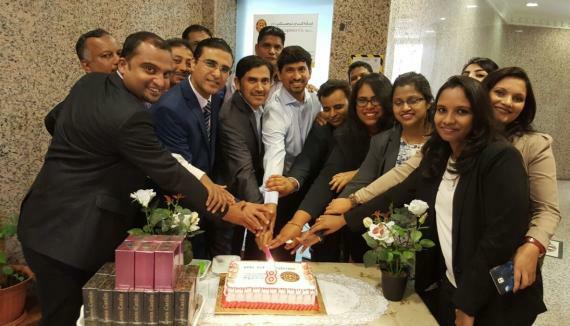 Crown Logistics are our UFO representatives in Kuwait are have recently celebrated 8 years since their establishment! 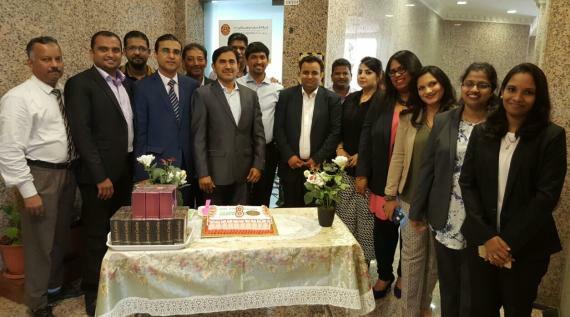 As well as completing 8 years as a successful logistics company, George Madtha (MD & CEO of Crown Logistics) is celebrating 25 years working in the industry in Kuwait. George comments; "Our business was originally started 15 years ago as a small-scale IT & Consultancy Company. We moved one step at a time and we are now at 45 staff under our business group whose business volume is USD $5 million annually. We are ISO certified and as well as UFO, we are a member of IATA. We can provide platforms for trading partners along with logistics & shipping. We look forward to sharing more business with UFO partners! Please do not hesitate to contact us for any information or requests." Congratulations to Crown Logistics from the UFO Head Office! Please click below for photos of the Crown Logistics team celebrating their anniversary.